Running a busy medical practice requires tackling accounting and tax compliance issues that most doctors and dentists never anticipated before opening their doors. Although you entered the medical field to work with patients, some days you may feel more like an accountant. To properly monitor the financial health of your practice and implement the medical industry's best accounting practices, turn to Matheney and Matheney CPAs PLLC. 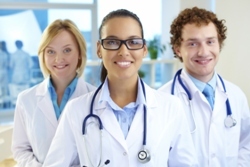 Our Spokane, WA CPA specializes in medical practice accounting services. We're uniquely positioned to provide the accounting services, tax strategies, and practice management solutions your healthcare business needs survive and thrive. At Matheney and Matheney CPAs PLLC, we have a reputation for improving efficiencies for medical practices that result in a higher bottom line. We offer practice management solutions that will increase productivity and improve financial controls. We can take over bookkeeping, accounts payable, and other time-consuming but necessary tasks so you have more time to spend with your patients. And our proactive tax planning strategies will keep your practice in compliance with the latest Federal and State tax laws while minimizing your tax burden. If you'd like to start working with a local CPA that truly understands the needs of your industry, call Matheney and Matheney CPAs PLLC today at 509-893-0150 or request a consultation online. We provide tax and accounting services for doctors, dentists, and all kinds of healthcare professionals.